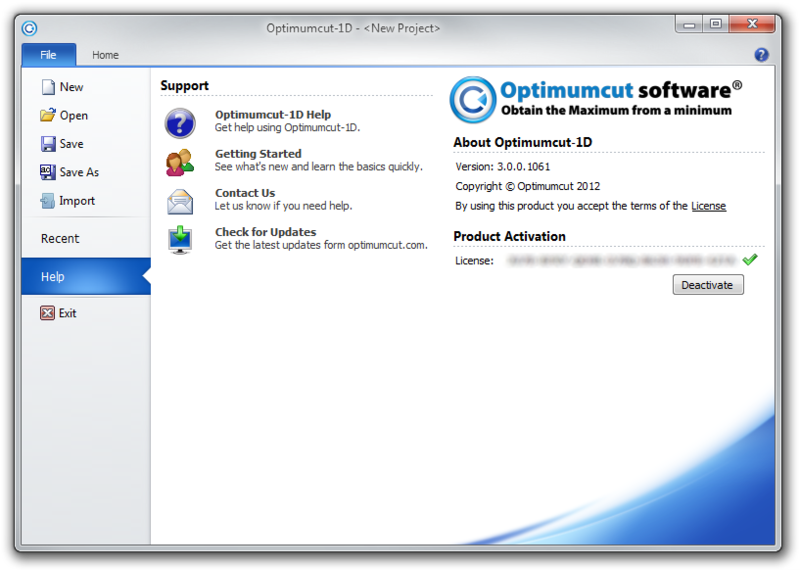 Optimumcut-1D v2 was designed around the Office 2003 style. Although this seemed modern at the time, it is now quite dated and we decided a radical overhaul was required. 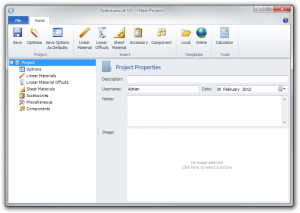 The most recent versions of Office have been designed around a ribbon. This was introduced with Office 2007 and then became more polished in the 2010 release. 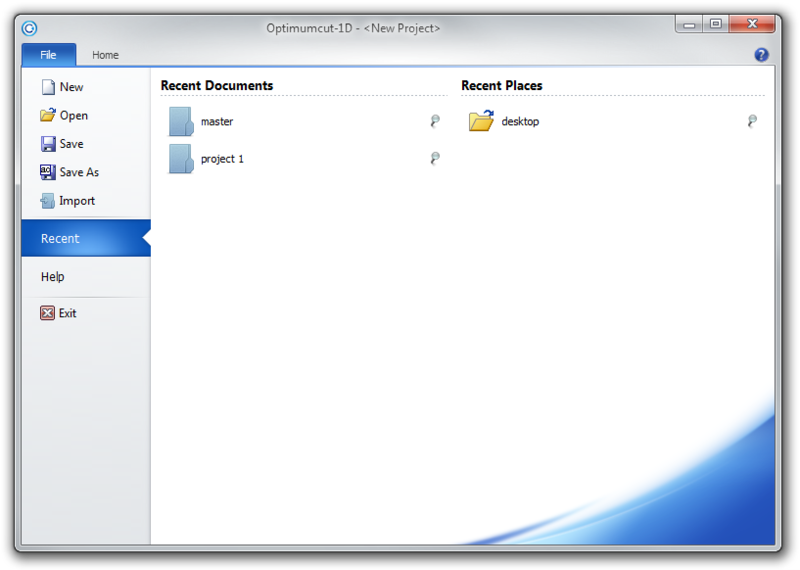 For Optimumcut-1D v3, we have also moved away from the tabbed multiple document interface. 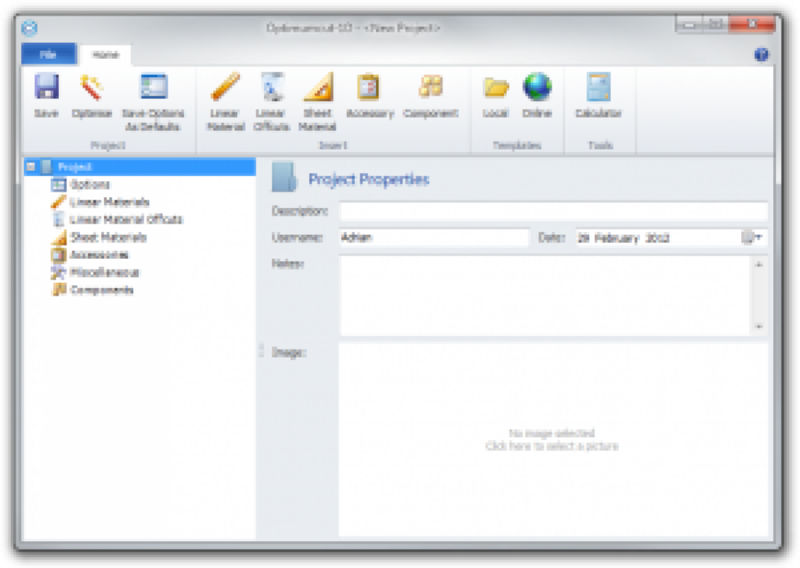 Recent versions of Word and Excel now favour an entire top-level window per document. This makes the interface cleaner because the list of document tabs was always in a prominent position within the main user interface. For those unfamiliar with the ribbon concept, at its most basic it behaves like a large toolbar. The traditional menu system has gone although the concept of the “File” menu remains although in an entirely different form. The main form now looks like this when it is first opened. 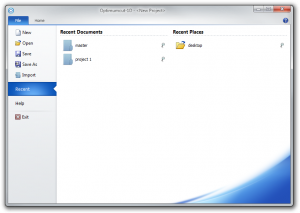 Selecting the “File” menu provides access to all common file related functions including a list of previously opened files and file locations. 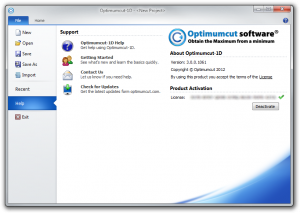 It also provides access to the Help and Support that would have previously been on a Help menu and within popup dialogs.